Filled with humor and inspirational essays, this meticulously researched book strikes at the heart of intolerance. 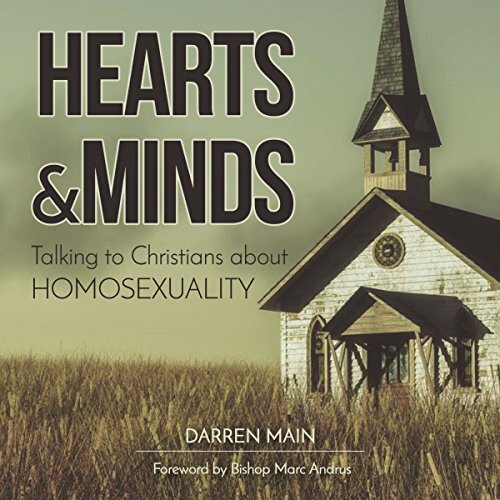 Only through meaningful and heartfelt discussions with conservative Christians can hearts and minds change, and this book by Darren Main will help you start the conversation. It is an indispensable tool for supporters of the lesbian, gay, bisexual, and transgender community, as well as Christians striving to be more compassionate and understanding. By confronting one of this generation's most volatile social issues with civility and respect, Hearts & Minds: Talking to Christians about Homosexuality shifts the emphasis away from political arguments and toward changing religious attitudes - creating space for profound healing and reconciliation between two communities who often find themselves at odds. Eye-brow raising from beginning to end. I do not like books that try and convince me to believe differently. I, however, enjoy books that ask me questions and challenge my current beliefs. This book was written in such a way that had me questioning many of my current beliefs in a very respectful and eloquent manner. I highly recommend. If, in fact, there is any shared ground between Christianity and LGBTQ advocacy, this book finds it and blazes a path that others can follow. Whether it succeeds or not is less important in the final result then the fact that it makes the attempt and it does so credibly. Yes I would. This is a great overview of christianity and sexuality without it being pointed and damning to either perspective. Darren guides readers through an simple, yet powerful understanding way of embracing each other with empathy and understanding.